There's no need to take on extra strain doing unnecessary activities while carrying excess weight on your feet. Avoid this reality every day by wearing a pair of slip-on work shoes that are loaded with the comfort you’d expect from a pair of work boots: Timberlan ... (see full details) (see specifications) #TB0A1I54484. There's no need to take on extra strain doing unnecessary activities while carrying excess weight on your feet. Avoid this reality every day by wearing a pair of slip-on work shoes that are loaded with the comfort you’d expect from a pair of work boots: Timberland PRO Women’s Powertrain ESD Alloy Toe TB0A1I54 484 Athletic Shoes. These black and blue women’s slip-on shoes from Timberland weigh approximately two pounds total (on average for a size 7). That's it! They're built with uppers that are made up of lightweight and breathable Ripstop nylon mesh. This Ripstop nylon mesh combines with a cement construction process to ensure that these Powertrain alloy toe shoes have both durability and strength. 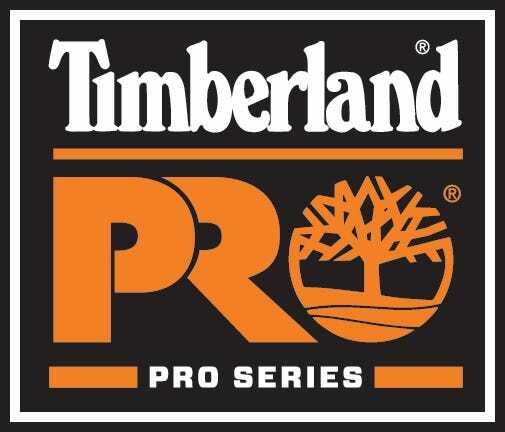 These incredibly strong and lightweight Timberland PRO ESD shoes will, without question, protect your feet from potential injury or hazards. These safety toe athletic shoes feature an asymmetrical lightweight alloy safety toe cap. This safety toe cap meets the ASTM F2412-11 I-75 and F2413-11 C-75 standards for impact and crush injury. On top of that, these black and blue athletic women’s shoes also feature Timberland’s PRO rubber outsole. This outsole is rated as a conductive polyurethane outsole with consistent static-dissipative performance. This incredibly durable PU rubber ESD outsole is also abrasion-, heat-, oil-, and slip-resistant! In fact, it meets the SATRA TM63 standard for oil resistance and can withstand temperatures of up 248 degrees Fahrenheit. Timberland also made comfort a priority when constructing these low-profile alloy toe women’s shoes. The athletic footwear features Anti-Fatigue technology. This technology couples an electrical hazard rated PU midsole with the PRO rubber outsole. Using a series of molded cushioning cones capable of collapsing and returning energy, this technology ensures all-day supportive comfort that will prevent your feet from tiring. Last but not least, this women's footwear has an interior moisture-wicking mesh lining. Having been treated with an antimicrobial solution, this lining will keep your feet dry and odor-free. Like we said, these athletic women’s work shoes are loaded. Coming in a lightweight, protective design, all you have to do is slip-on these Timberland PRO Women’s Powertrain ESD Alloy Toe TB0A1I54 484 Athletic Shoes once you order a pair from Working Person's Store. Timberland PRO Shoes: Women's Powertrain ESD Alloy Toe TB0A1I54 484 Athletic Shoes is being added to your cart.